Every hour there was at least one session I wished I could have attended, but the one I will single out here is "Give us your Data! Google's effort to archive and distribute the world's scientific datasets" by Noel Gorelick (formerly of NASA and now at Google). 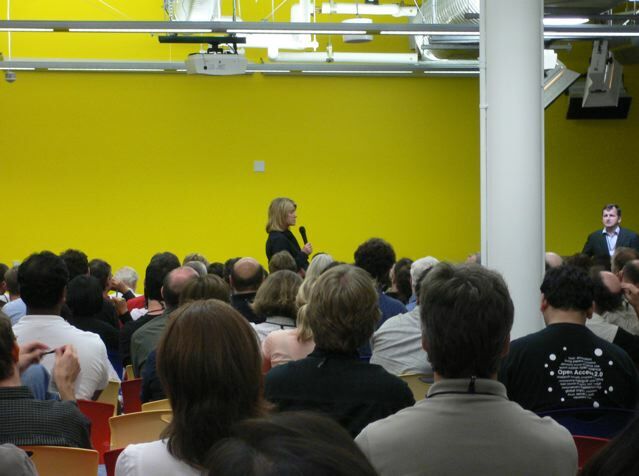 For a conference on the future of biology, technology, and science, meeting at Google's global headquarters, this was a rare session that focused explicitly on how Google is changing the landscape. 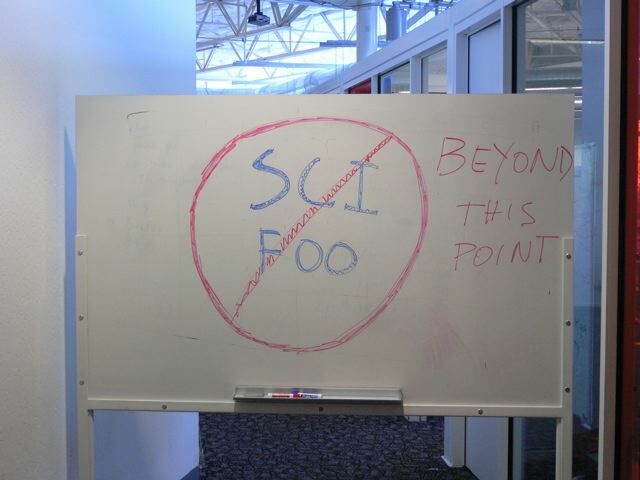 Rather, Google now is the landscape, and the success of SciFoo offers ample demonstration of that. Many Edge contributors and/or event participants were in attendance, including Larry Brilliant. 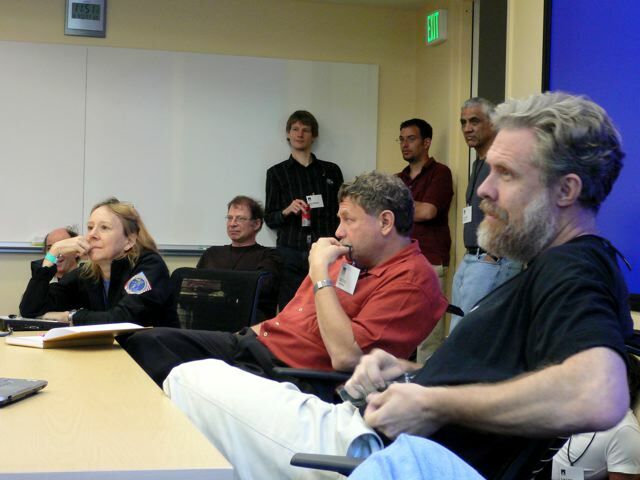 Sergey Brin, Philip Campbell, Geoff Carr , George Church, Chris DiBona, Carl Djerassi, Eric Drexler , Esther Dyson, Freeman Dyson, Danny Hillis, Steve Jurvetson, Dean Kamen, Vinod Khosla, Jaron Lanier, Oliver Morton, PZ Myers, Tim O'Reilly, Larry Page, David Pescovitz, Stuart Pimm, Martin Rees, Michael Shermer, Clay Shirky, Charles Simonyi, Lee Smolin, Linda Stone, Yossi Vardi, Frank Wilczek, and Anne Wojcicki. (GEORGE DYSON:) The impossible choice at SciFoo is whether to attend sessions on people and subjects you know, or sessions on people and subjects you don't know anything about. 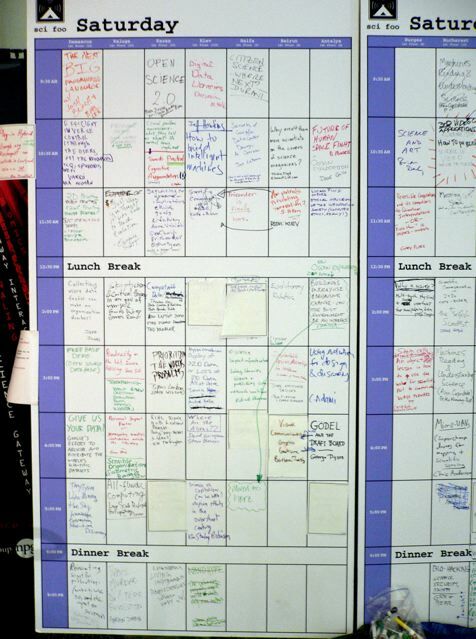 It's a lot like going to a new restaurant—for 11 meals in a row. 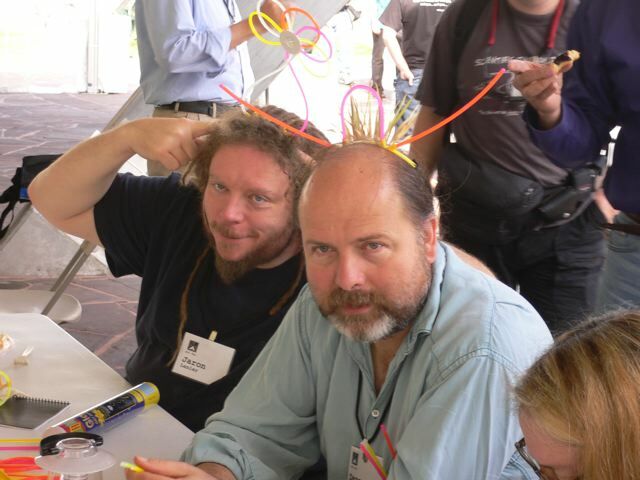 Do you want to see how "Quantum Computing" is served here (well-done, by Frank Wilczek) or do want to sample something you have never seen on the menu before? 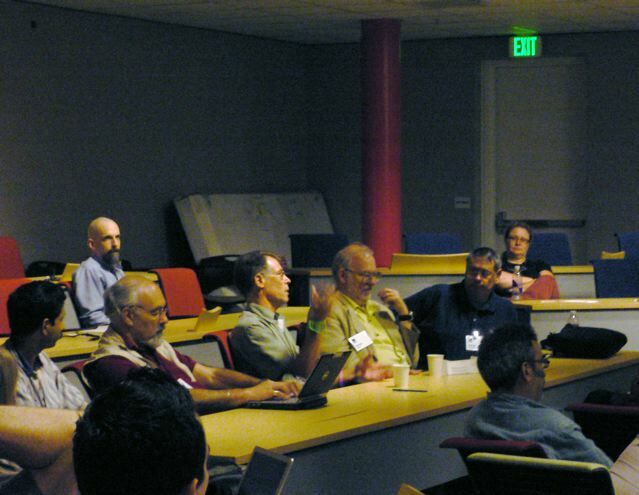 The session that left me most impressed was a subject I've heard discussed many times: "Asteroid and Near-Earth-Object Defense", presented by Pete Worden, now director of NASA Ames. 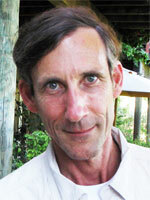 Worden, whose multiple careers within the Air Force, Capitol Hill, and now NASA, gives him a unique perspective on how, both politically and technically, we might actually get something done, outlined a refreshingly realistic plan (off the record!) for manned exploration missions to nearby asteroids using existing space vehicles, and, better yet, a vision for super-low-cost unmanned reconnaissance of near-earth objects using repurposed micro-satellites that were originally developed for "Star Wars" defense. His solution is obvious, both for science and global security: the sooner we get in the habit of landing on things that approach earth closely, the better we will understand them and the less likely we are to get caught by one unawares. Who was missing? A long list, but here's one suggestion: Mark Hofer (science teacher and internship program leader at Blue Origin, Seattle) and about 12 high school or undergraduate students of his choice. (STEVE JURVETSON:) There is no predefined agenda; instead attendees collaboratively create one during the first evening of the event. 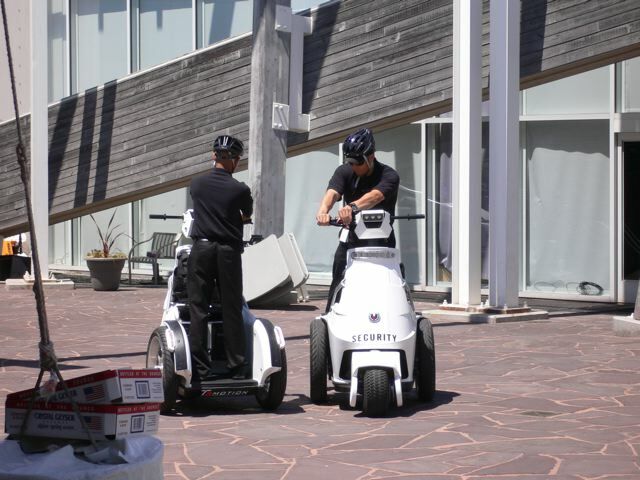 8.Buildings, Energy Use and Behavior Change - Can the Built Environment be an Interface? 14.Squishy Magnets, Talking Paper and Disapearing Ink: How can inventables.com open its doors to kids for free. 1.Give us your Data! 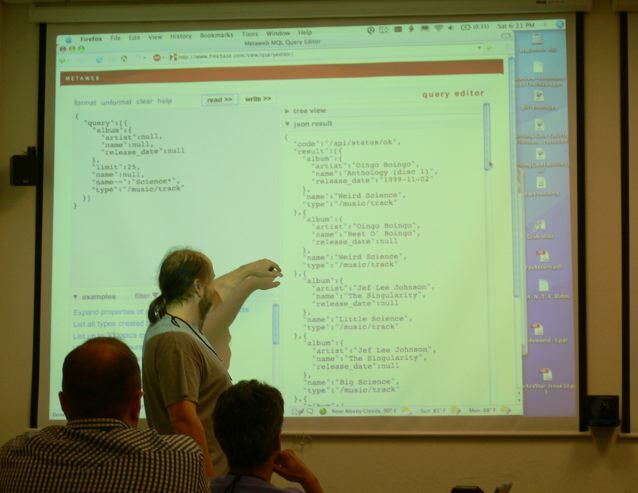 Google's effort to archive and distribute the world's scientifcic datasets. 3.Nanohype: The volumnious vacuous vapid world where only size matters. * Geekdad (and Wired editor) Chris Anderson wearing his maker heart on his sleeve as he ran around recounting the morning's tests of his DIY unmanned air vehicle. "And I didn't even get arrested!" 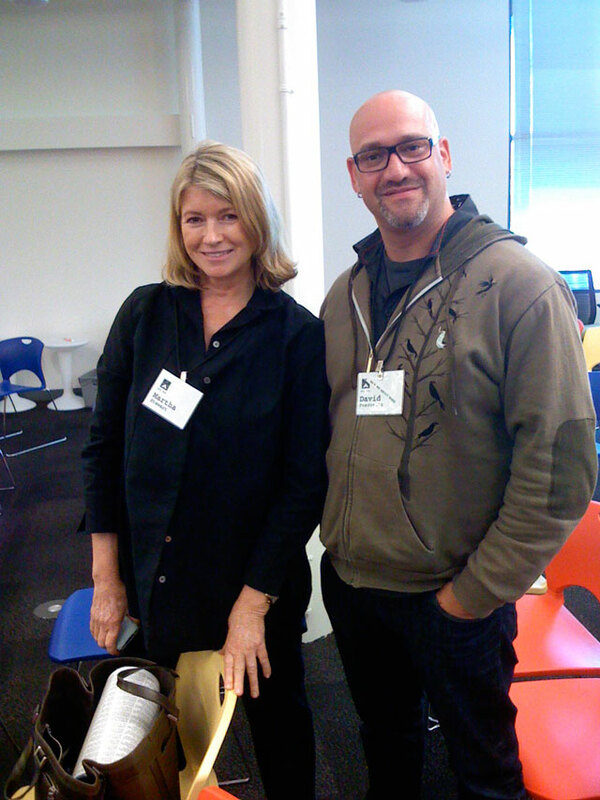 * Lunch with Martha Stewart and Charles Simonyi. She was warm, witty, and delightfully curious about blogging. He was friendly, unassuming, and down-to-earth, except when he reminisced about his space adventure and his eyes lit up with wonder. * Ed Boyden and Vaughan Bell rapping about the varieties of psychotic experiences and how to hack your mind. * Leaving James Randi's presentation, "A Magician Looks at the Irrational and Pseudo-Science," with my Fortean appreciation for high weirdness and strange phenomena still intact. Having a great time. Wish I was here. 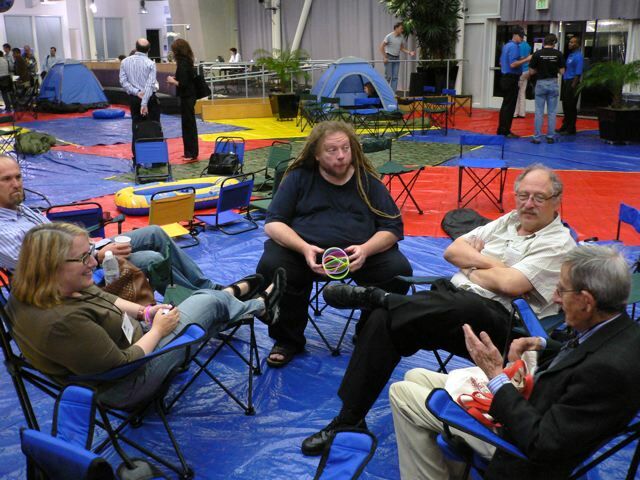 Neal Stephenson, Jaron Lanier, Lee Smolin. "The Nature of Time and Mathematics." 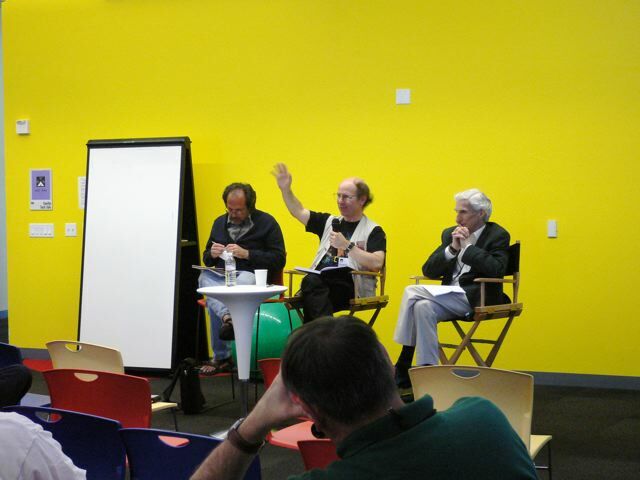 Lee Smolin, Frank Wilczek, Lord Martin Rees. "Universe or Multiverse?" Among the highlights: "Visual Garage—We'll Fix Your Graphs and Visuals" with Felice Frankel and Stefan Sagmeister. The mix of disciplines—science, medicine, design—contributed to a dialog that offered useful insights. Had a great conversation with Felice afterwards on some representation challenges I'm addressing at the moment. "Where are the Aliens" with David Grinspoon reminded us that many ideas we easily embrace today were initially considered heretical. 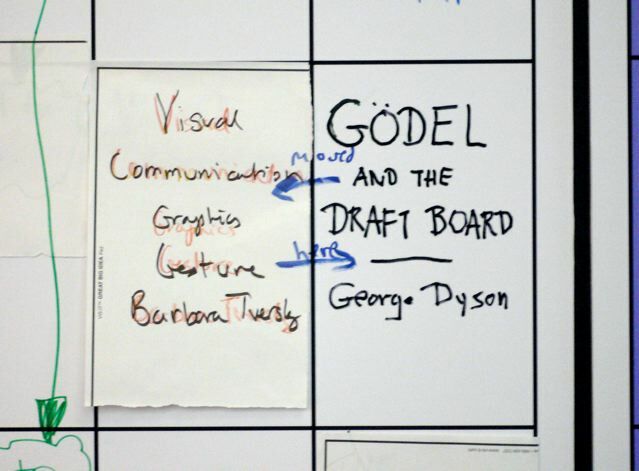 I was sorry to have missed George Dyson's session Godel and the Draft Board. 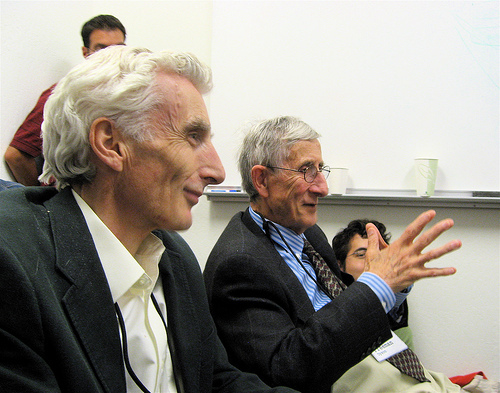 (STEVE JURVETSON:) Freeman Dyson added personal remembrances to a wonderful historical tale by George Dyson about Gödel’s difficulties with government bureaucracies while trying to return to Princeton from Austria during WWII… then trying to get his “enemy alien” designation removed…. and then getting promptly drafted. The series of absurd telegrams highlighted the inconsistency and incompleteness of the formal systems of law. 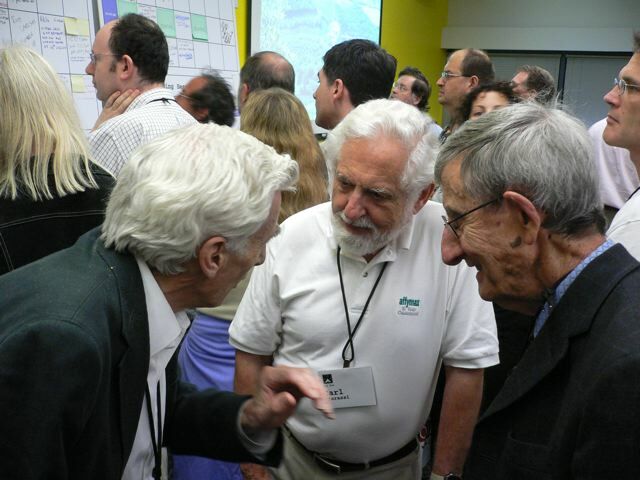 Lord Martin Rees smiles in the foreground. 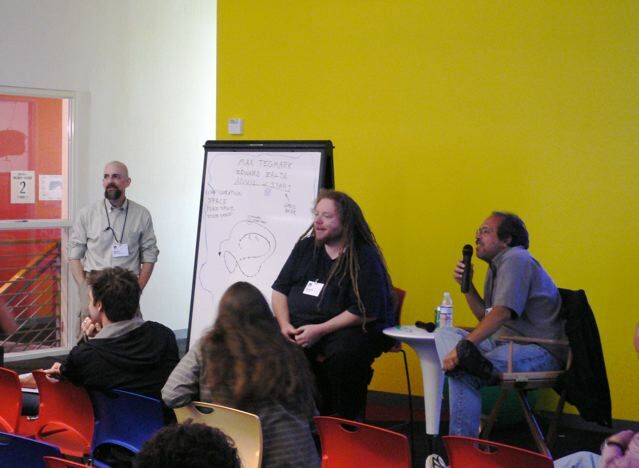 Neal Stephenson, Kim Stanley Robinson, Greg Bear, Oliver Morton et al. 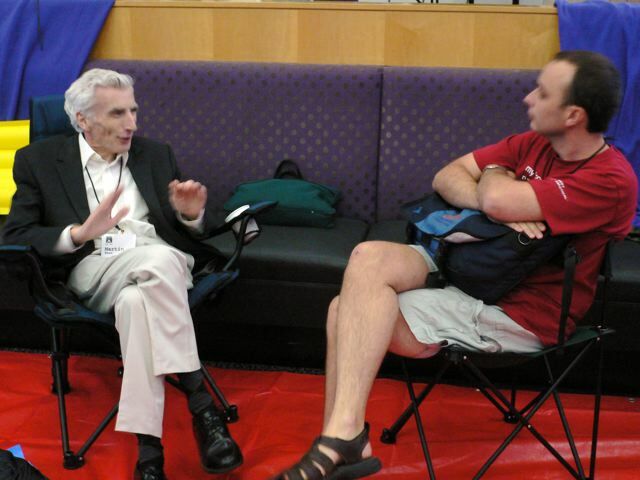 "Science fiction: what is it for? "